Ye Olde Oak is the leading hot dog brand in Britain. Frank Rowland Smith (1894 – 1945) was born in Wandsworth, London. His father had emigrated from Lincolnshire to work as a provisions merchant. Two brothers, R W Smith and Robert Rowland Smith (1902 – 1968), managed the firm by 1949. Rowland Smith & Son introduced its line of canned meats under the Ye Olde Oak brand in 1949. Ye Olde Oak became the first canned meat brand in Britain to be advertised on colour television in 1956. Rowland Smith & Son was based at St Thomas Street, London by 1961. By this time the company was best known for canned meats. 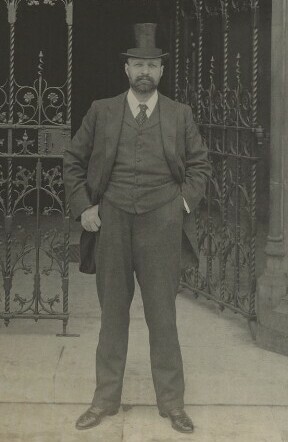 Robert Rowland Smith, chairman, died in 1968. Ye Olde Oak was the major British tinned ham brand, with one third of the market by 1973. Unlike today, tinned ham was considered a relatively upmarket product in the 1970s. Struik Foods of the Netherlands began to supply Ye Olde Oak with frankfurters from 1979. The Rowland Smith brothers had no obvious heirs to inherit the company. They approached Hans Struik (born 1940), who acquired the company in 1984. The company name was changed to Ye Olde Oak Ltd in 1985. An investigation for The Times in 2005 found that Ye Old Oak hot dogs contained 50 percent meat, but less than that when collagens and fat were excluded. A 2005 study by Which? magazine found Ye Olde Oak tinned ham contained 37 percent water and just 55 percent meat. Maconochie Brothers was the largest tinned food manufacturer in the world, and probably the largest supplier of food to the British armed forces during the First World War. James Maconochie (1850 – 1895) established a fishmongers business in 1870. He was soon joined by his brother, Archibald White Maconochie (1855 – 1926). The brothers relocated from Aberystwyth in Wales to Lowestoft in Suffolk from 1873, where they acquired fresh herring to sell in London. The brothers established the largest fish and meat canning factory in Britain at Lowestoft in 1877. A W Maconochie, a colourful figure, soon took the lead in the firm, and combined a shrewd business mind with high energy (he confessed to never feeling tired). An inventive man, he also developed many of the firm’s patents himself. A second factory, for herring canning, was established at Fraserburgh near Aberdeen, from 1883. Maconochie Brothers was the leading fish canning business in Britain by 1886, and sold millions of herrings every year. The fish canning factory at Fraserburgh was the largest in Britain, and possibly the world, and employed over 350 workers during peak periods. A W Maconochie was a strong-willed and uncompromising man. A tinsmith approached him to discuss an issue regarding tools in 1888. Maconochie punched the man in the mouth in a blow that knocked him to the ground, and then proceeded to strangle, repeatedly punch, and threaten to kill the man. As a result of the incident Maconochie was fined £2 and forced to pay court costs. Whilst undoubtedly an overreaction, Maconochie’s anger stemmed from the powerful position of the tinsmiths, to whom many production days were lost due to strikes. Maconochie invested heavily in canning technology in an attempt to negate their influence. Maconochie Brothers processed 97 million fish in 1889. Over 1,000 people were employed at Lowestoft by this time. The Machonochie “Patent Emergency Ration” had been introduced by 1889. It contained three tins which could supply a soldier’s daily food needs. The largest tin contained meat and farina, a form of milled wheat high in carbohydrates. The second tin contained soup and the third tin contained cocoa. A new site at Westferry Road, Millwall, London, including a large factory and an office, was acquired in 1897. Headquarters were relocated to London. Maconochie Brothers was incorporated as a limited company in 1900 with capital of £100,000. The company had a production capacity of 100,000 tins of food per day, and was the largest tinned foods producer in the world. Five million herrings were canned every year by 1903. The Pan Yan Pickle trademark was registered in 1903. Maconochie Brothers was the largest single food supplier to the British Army between 1900 and 1905, with contracts worth a total of £1 million. At one point the company engaged 1,500 people in British military contract production. Maconochie Brothers supplied around 45 percent of British army rations during the Second Boer War (1899 – 1902). Maconochie Brothers went private from 1908. The Fraserburgh factory employed 300 to 400 people by 1914. The army food supply contract remained in place throughout the First World War. Best known at this time for its tinned stew, “Maconochie” became shorthand for a meat ration. Maconochie Brothers was probably the largest supplier of food to the British armed forces during the war. It is my personal opinion that the inventor brought to his task an imperfect knowledge of cookery and a perverted imagination. Open a can of Maconochie and you find a gooey gob of grease, like rancid lard. Investigate and find chunks of carrot and other unidentifiable material, and now and then a bit of mysterious meat… Tommy [British soldiers] regards it as a very inferior grade of garbage… he’s right. Pan Yan was easily the highest-selling pickle in the world by 1924. It contained mangoes and vegetables in a sweet-sour sauce. A W Maconochie died in 1926, and left an estate valued at over £390,000. His will contained an unusual codicil stipulating that if any of his children were to marry a Roman Catholic they should be disinherited. The company suffered following the loss of Maconochie’s strong leadership. The Lowestoft fish canning facility was sold to the Co-operative Wholesale Society in 1930. The Millwall factory was destroyed by German bombs in 1940, and a new site was acquired at Hadfield, Derbyshire. The Fraserburgh factory employed 500 people in 1947. The Hadfield factory employed about 550 people in 1948. Maconochie Brothers was converted into a public company in 1948 with an authorised capital of £600,000. Pan Yan remained the highest selling sweet pickle in Britain as late as 1953. Maconochie Brothers became loss-making, and the unprofitable Fraserburgh factory was closed with the loss of 190 jobs in 1958. Maconochie Brothers was acquired by H S Whiteside, the manufacturer of Sun-Pat honey, in 1958. H S Whiteside was a business turnaround specialist, and as a result of the introduction of new management and marketing techniques, Maconochie Brothers had re-entered into profitability by 1960. H S Whiteside entered into receivership in 1965, a victim of “fraud, misfeasance or other misconduct”, according to a report published by the Board of Trade. The company assets were acquired by Rowntree Mackintosh. Rowntree Mackintosh was acquired by Nestle of Switzerland in 1987. Nestle already owned Crosse & Blackwell, a similar business to Maconochie Brothers. Nestle already produced the highly successful Branston Pickle, and Pan Yan Pickle production was discontinued in 2000. Nestle sold its British ambient foods business, including Sun Pat and Gale’s honey, to Premier Foods in 2002. Although an ingredients list still exists, the only known recipe for Pan Yan pickle was destroyed by fire in 2004. The Hadfield site was closed in 2004. Princes Foods led the global tinned lobster trade. Today its brands include Napolina, Jucee, Batchelors and Crisp N Dry. 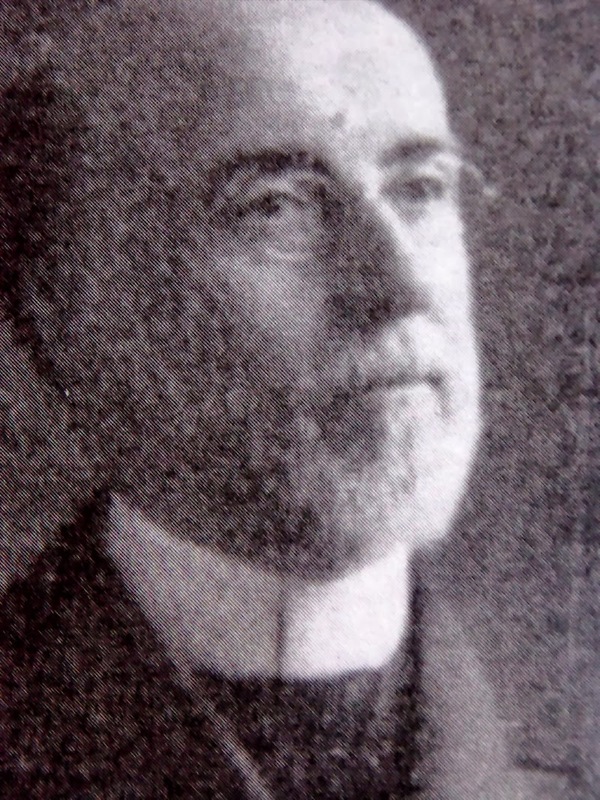 William Muirhead Simpson (1842 – 1926) was born in Liverpool to Scottish-born baker parents. Simpson had entered into partnership with Francis George Carvill, a Liverpool merchant, by 1872. Simpson left Francis Carvill & Son in 1878. The move was to prove fortuitous, as the firm collapsed with debts of £300,000 in 1883. Simpson entered into partnership with Frank Roberts (1853 – 1938), a native of New Brunswick, Canada, from 1880. Simpson & Roberts began to import tinned lobster into Britain. Simpson managed the head office at 20 Redcross Street, Liverpool, while Roberts managed operations at Halifax, Canada. Thomas Edward Dickinson (1866 – 1962) was taken on as an apprentice, and was the first employee. The partnership originally sold its products under the Simpson Roberts brand until the Maypole brand was introduced for tinned lobster from 1891. The Mikado name was introduced for tinned meats and fish from 1895. The Princes brand was introduced from 1900. Simpson & Roberts established operations in Vancouver to produce tinned salmon from 1902. 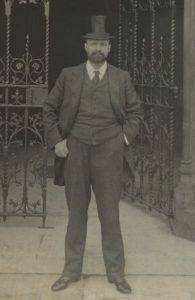 William Muirhead Simpson retired from the partnership in 1907, leaving Frank Roberts, David Thomson and Henry Pythian Simpson to manage the business. At this juncture, Frank Roberts relocated to Liverpool to manage operations from there. Simpson Roberts & Co had relocated to 46 Stanley Street, Liverpool by 1910. Simpson Roberts & Co was the largest exporter of lobsters in the world by 1915, and handled one third of the world’s output from sites at Charlottetown, Prince Edward Island; Shediac, New Brunswick; St John’s, Newfoundland and Vancouver. The partnership became an incorporated company in 1919. Thomas E Dickinson was appointed chairman. Vancouver became the Canadian headquarters from 1920. Simpson died in 1926 with an estate valued at £86,710. Company capital was reduced from £250,000 to £212,000 in 1929. There were 21 Princes product lines by 1936. That year a larger warehouse and distribution centre had to be built to cope with demand. Across six floors, it was one of the most up to date canned goods warehouses in Britain. Frank Roberts died in 1938 with an estate valued at £142,141. Simpson & Roberts capital was increased to £500,000 in 1958. By this time canned fruit had joined canned fish as a major product line. That year, tinned foods sales increased by 17 percent, whilst Princes branded foods increased by 30 percent. Simpson & Roberts changed its name to Princes Foods from 1962. Profits at the company rapidly declined between 1964 and 1968. J Bibby & Sons, a Liverpool shipping firm which owned Trex cooking fat and a line of sandwich spreads, acquired Princes for £3.25 million in 1968. The integration of the two businesses was to prove more difficult than anticipated. Bibby entered into financial difficulty, and sold Princes to Buitoni, an Italian foods group, in 1973. Buitoni introduced canned imported vegetables and corned beef to the Princes product range. Buitoni was acquired by Nestle of Switzerland in 1988, who sold Princes to Mitsubishi of Japan the following year. Princes had 25 percent of the British canned fish and cold meats markets by 1989. A factory in Southport, Lancashire employed about 200 people. Mitsubishi provided global presence and extensive financial capital for Princes. Princes entered into soft drink production with the acquisition of G Barraclough in 1991. Princes was Britain’s leader in corned beef by 1997. Princes acquired a fish cannery on the island of Mauritius in 1999. Princes acquired control of Beta Foods, manufacturer of Shippams fish paste, in 2001. Princes employed 3,200 people by 2010. Princes acquired the canning operations of Premier Foods for £182 million in 2011. Princes was the largest supplier of tinned food in Britain by 2013. The company employed 6,000 people across 14 production sites. 20 percent of sales were overseas. Princes extended its shareholding in the Napolina Italian foods brand from 76 to 100 percent in 2014. John Moir & Son: can I have some Moir? John Moir was a pioneer in the early tinned fish and meat trade. Defunct in Britain since the 1920s, it remains a leading dessert brand in South Africa. John Moir (1766 – 1833) was a provisions merchant from Musselburgh, Scotland. He established premises at 56 Virginia Street, Aberdeen. Around 1812 he became the first person in Britain to mass produce tinned fish, initially salmon. Soon, tinned meats, game, soup and vegetables were also sold. Benjamin Moir (1807 – 1872) joined the firm which began trading as John Moir & Son. He was regarded as an excellent businessman. The firm won extensive contracts to provided preserved meats to British and French troops during the Crimean War in the mid 1850s. John Moir & Son was the largest preserved food manufacturer in Scotland by 1868, and held a Royal Warrant from the Duke of Edinburgh. Annual preserved meat production averaged around 2.5 million lbs. Benjamin Moir died unmarried in 1872, and the business was transferred to his nephew, John Moir Clark (1836 – 1896). The firm was to greatly expand under his leadership. King Alphonso XII of Spain granted the company the exclusive concession to pulp oranges for export in Seville in 1877. Close to the source of the fruit, it avoided wastage losses which occurred during transit, and allowed the company to use the freshest oranges. There were factories at Glasshouse Fields, Brook Street, London; Aberdeen and Seville by 1878. The head office was at 148 Leadenhall Street, London. The firm became a limited company in 1881 with a capital of £150,000. The firm had over 10,000 wholesale customers. An American factory was opened at Wilmington, Delaware in 1882. Company capital was reduced to £50,000 in 1888 due to profit losses sustained in America and elsewhere. The Delaware factory was divested. The head office was relocated to 9-10 Great Tower Street, London in 1898. The company had a valuable contract to supply rations to the British Army during the Boer War. King Edward VII awarded John Moir & Son a Royal Warrant for preserved provisions in 1901. Robert Falcon Scott took Moir tinned meet with him on his fatal expedition to the Antarctic. The company benefited from extensive military contracts during the First World War. A small factory was acquired in Woodstock, Cape Town, South Africa in 1920. The wartime economic boom was soon followed by a slump, which hit the preserved foods industry hard. Between 1920 and 1925 the British business made successive profit losses due to low sales. The South Africa subsidiary remained profitable. The company rejected numerous takeover offers in 1925, and instead entered steady decline. The Virginia Street premises in Aberdeen were sold off in 1927. Company capital was reduced from £150,000 to £45,000 in 1933. The South African subsidiary was divested in 1948. The company entered voluntary liquidation in 1950 and the London premises were sold off. The South African branch prospered, and as of 2015, Moir’s is the leading brand in that market for jellies, custard powder and instant desserts. Samuel Wallace Smedley pioneered the British canning industry in the 1920s. Canned food was important before the widespread domestic use of refrigerators and freezers. Samuel Wallace Smedley (1877 – 1958) was born to a poor Quaker coal dealer in Aston, Warwickshire. Raised in Evesham, Worcestershire, he left school at the age of eleven and found employment as a door-to-door salesman selling primroses. At the age of 18 he found work as a salesman at an Evesham fruit firm. Within a year he was promoted to manager of the Wisbech branch where he demonstrated considerable flair as a buyer. With savings of £250, Smedley entered into business for himself as a fruit and potato merchant from 1905. S W Smedley & Co grew to become one of the largest fruit and vegetable firms in Britain, with operations in London, Wisbech, Evesham, Maidstone and Worcester. Smedley, by now a wealthy man, pleaded guilty to tax evasion in 1921, and was fined £500 plus court costs. Upon hearing the outcome he promptly fainted in the courtroom. Smedley determined to establish a canning operation along the lines of the California fruit pickers. He went to America for three months to study their methods before he opened a factory at Wisbech, Cambridgeshire in 1924. Called National Canning Company, his was the first large-scale canning business in Britain. A second factory was opened at Evesham from 1927. Fortunately for Smedley, the canning industry in Britain boomed, with National Canning Co at the forefront. It was the largest canning operation in Britain by 1931, with an annual output of over 20 million cans from five sites, and around 20 percent of the canned goods market. By this time the company had an authorized capital of £350,000. At peak periods the Wisbech site alone produced 500,000 cans of fruit and vegetables every day, with around half of production dedicated to peas. The plant was open 24 hours a day and employed nearly 800 people. Peak operations lasted for seven months. During the off-season, the likes of pork & beans were produced. The Paddock Wood, Kent site was expanded in 1931 from a female staff of 120 to 1,000 women and 100 men; the site focused on vegetable and apple canning. A large factory in Dundee was acquired in 1931. In 1932 a factory in Spalding, Lincolnshire was established and a former jam factory in Ely was acquired to tin fruit. The Norseland Canning Company of Leeds was acquired in 1932 with 400 to 500 employees. This introduced the company to fish canning. A large fish canning factory was opened in Dundee in 1933. 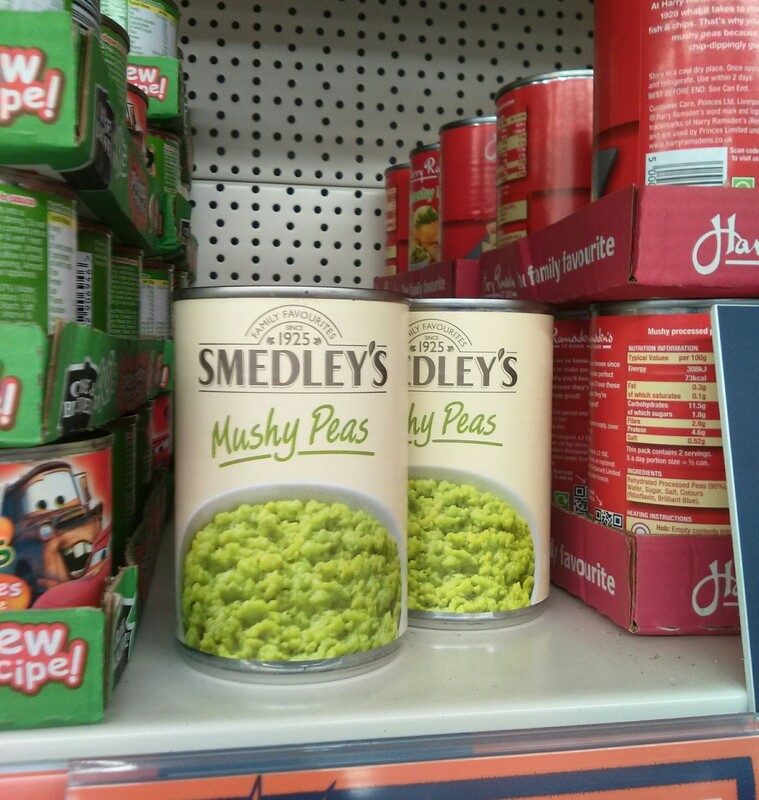 Smedley acquired peas from 3,000 acres of farmland in 1933, mostly from fields in East Anglia. Smedley gifted his potato and fruit merchants business to his brother Alfred in 1933. He gifted the goodwill of the business (valued at over £25,000) to the company’s management team. By divesting his original business, Smedley was able to concentrate on his canning interests. British Fruit Ltd, with a factory at Faversham, was acquired in 1935. National Canning Company employed over 4,000 people across nine factories by 1935. National Canning Company began to sell frozen vegetables from 1937. These were the first quick-frozen vegetables to be mass-produced in Britain. Baird Wolton & May Ltd, with a cannery at Barming, Kent was acquired in 1938. Norseland Canning Company was divested in 1938. National Canning Company had twelve sites across Britain by 1938, and held over 25 percent of the canned fruits and peas market. As late as 1939 Smedley was one of only three firms involved in quick-freezing fruit and vegetables in Britain, the other firms being Chivers of Histon and Bailey of Ware. Considered a luxury good by the Ministry of Food, quick freezing was prohibited during the Second World War. National Canning Company directly employed over 2,500 people by 1940. Thousands more were employed indirectly. S W Smedley donated Wallace House as a social club for the people of Evesham in 1946. A factory at Blairgowie, near Dundee, was opened in 1946 to tin raspberries. The Kingsway, Dundee site employed nearly 700 people by 1947. A disused potato flour factory at Monikie, Dundee, was acquired to can peas and fruit, in 1947. A shortage of tinplate for cans saw the six National Canning Company factories temporarily closed in 1951. 1952 saw trading profits of over £1 million for the first time. S W Smedley retired from business due to his failing health and old age in 1953. He was succeeded in the role of chairman by his eldest son, Wallace Venables Smedley (1907 – 1981). His brother, Graham Powell Smedley (1909 – 1983), joined him as joint managing director. That year, authorised capital was increased to £950,000. S W Smedley died in 1958. He left £170,000 gross estate. £750,000 was spent in expanding and modernising the Spalding, Lincolnshire site in 1958. It left Smedley’s with one of the largest cold storage units in Britain. Wallace Smedley sold the business to Imperial Tobacco in 1968 for £9.5 million in cash. Imperial provided the company with capital and management expertise. Members of the Smedley family remained in key managerial positions. Imperial was keen to diversify from its core tobacco business, and had acquired HP Foods (including Lea & Perrins) a year earlier, and also owned the Golden Wonder crisps brand. Imperial acquired Ross, the frozen foods group, in 1969, and merged its operations with Smedley’s. Both groups had each previously held around five percent of the British frozen food market. Smedley’s began to struggle as public taste switched from tinned to fresh and frozen vegetables. The four acre Evesham site was closed in 1973. Three more unprofitable factories, two in Faversham, Kent and one in Blairgowrie, were closed in 1979 with the loss of 840 jobs. As a result, Michael Smedley, the grandson of the founder, resigned from the board of directors in protest. Smedley’s suffered a loss of £1.5 million in 1980. The loss-making Wisbech factory was closed in 1981, with the loss of 480 jobs. Imperial Tobacco merged Smedley’s with Lockwoods, a loss-making canning operation jointly-owned by Tozer Kemsley & Millbourn, to form a 50:50 venture in 1981. The merger proved to be a disaster. Smedley’s losses became heavier, and it was sold to Hillsdown Holdings for a nominal sum of £1 in March 1983. Net assets of Smedley’s totalled £6.6 million, but losses for the previous year totalled £7.4 million. Hillsdown’s managing director was confident that he could turn around the Smedley’s business within a year. The Smedley operations were consolidated into two plants, one in Scotland and one in Cambridgeshire. Smedley had re-entered profitability by July 1983. Smedley-Lockwood was the largest food canning operation in Britain by 1986. Hillsdown Holdings eventually morphed into Premier Foods. Premier Foods sold its canning operations, including Smedley’s, to Princes of Liverpool in 2011. 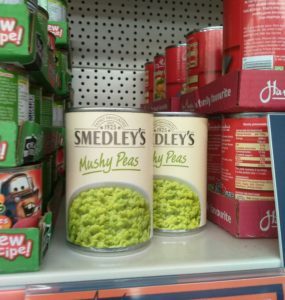 Smedley’s beans and peas are available at LIDL. Smedley’s tomato soup can be found at Co-op. Farrow’s Marrowfat Processed Peas is a classic “orphan brand”. The Farrow company has long since ceased to operate, with the brand surviving as a single product line. Joseph Farrow Sr (1815 – 1898), was from Dowsdale in Lincolnshire. He established himself as a manufacturer of mushroom ketchup at Parson Drove near Wisbech, Cambridgeshire in 1840. Farrow’s son, Joseph Farrow Jr (1850 – 1940) had entered the business by 1876, which became known as Farrow & Son of Whaplode Drove, Lincolnshire. The business advertised its goods as far afield as Liverpool. Before long, Farrow & Son had branched out into mustard production. 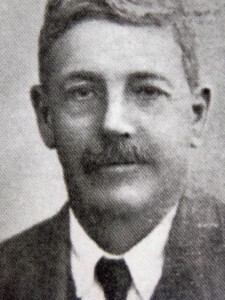 Joseph Farrow Sr retired as a gentleman around 1883, and Joseph Farrow Jr continued the business, as well as managing farms at Spalding, Lincolnshire. By 1898 Farrow & Co was based in Boston. Farrow & Co claimed to be the largest manufacturer of mushroom ketchup in the world in 1904. A model factory had been established at Fletton, Peterborough. The company also expanded into dried peas. Farrow peas and mustard began to be branded under the A1 trademark, (no relation to Brand’s A1 sauce) from 1908. Much of the company’s mustard seed was grown on its own farms. Moss, Rimmington & Co of Selby, mustard and twine manufacturers, was acquired by Joseph Farrow in 1912, after the former’s factory burned down. Over 300 workers had been employed at the Selby works. To absorb this new production, Farrow reopened its recently closed Boston and Holbeach works. The Peterborough site was also expanded. Colman of Norwich acquired all the shares in Joseph Farrow & Co, which became a limited company, in 1912. Farrow’s mustard production was relocated to Norwich in 1931. The Carlton Works at Peterborough were greatly extended in 1932. In early summer, at the height of the fruit-picking season, 200 to 250 girls and women were employed. In 1936 the company had capital of £250,000, and the first directors were Joseph Farrow Jr and his son, Joseph Algernon Farrow (1874 – 1949). Joseph Farrow Jr died in 1940, with an estate valued at £48,000. The role of chairman was assumed by Joseph Algernon Farrow. By 1945 the company’s principal activity was the canning of fruit and vegetables. R W Gale & Co Ltd of London, a processor of honey, was acquired in 1948. Joseph Algernon Farrow was chairman of Farrow’s until his death in 1949. He left an estate valued at £58,000. Gale’s production was relocated to Peterborough in 1951. Farrow & Co was the largest subsidiary of J & J Colman Ltd by 1961, aided by the popularity of Gale’s Honey. The Farrow’s canned vegetables business was sold to Batchelors of Sheffield, a Unilever subsidiary, in 1971. The Peterborough factory continued to produce Gale’s honey and preserves, but in 1973 it was closed with the loss of 250 jobs, and production was relocated to Norwich. Premier Foods sold the Farrow’s brand to Princes Foods of Liverpool in 2011. In Britain, Batchelor’s has a major trade in tinned peas, but is perhaps best known for its convenience foods such as Cup-A-Soup and Super Noodles. William Batchelor (1861 – 1913) was a tea dealer in Sheffield, Yorkshire. Originally from a modest Lincolnshire background, he was a puritanical Primitive Methodist. Batchelor opened a factory in the basement of a Primitive Methodist chapel on Stanley Street, Sheffield, in 1899. He grew the business almost entirely from its profits. The sale of dried peas was the principal business by 1912. The firm had grown to employ 50 people when Batchelor died in 1913. With his sons at war, and an invalid wife, if was left to his 22 year old daughter, Ella Hudson Gasking (1891 – 1966), to run the company as managing director. Gasking was a warm and friendly woman. Although a hard worker, she had no business training. She later commented, “I myself never even dreamed of being a business woman… I took over because I had to”. Following the end of the First World War, Gasking was assisted in management by her two brothers, Maurice William and Frederick Lewis Batchelor. Dried peas in cartons proved popular with heavy industries workers in Sheffield. The peas had to be soaked overnight before use. Canned fresh peas were expensive. However, Batchelor’s discovered that they could pre-soak the dried peas on site, and then can the produce, thus reducing costs. Gasking travelled to America four times in order to study US canning methods. A pea canning factory was established at Lady’s Bridge, Sheffield in 1930. The canned “processed peas” were to prove an immediate success. “Bigga” marrowfat peas were introduced from 1932. The success of Batchelor’s was such that within a few years it needed to relocate to a larger factory. In order to fund this the family business was converted into a public company with an authorised capital of £720,000 in 1936. Batchelor’s had the highest sales of canned and dried peas in the world. Turnover was just under £1 million. A new factory was opened at Wadsley Bridge, Sheffield at a cost of £100,000 in 1937. It was the largest canning plant in Britain. Situated on a twelve acre site, it was equipped with playing fields and speaker radios for the staff. Shortly afterwards, a small factory was opened at Worksop, which concentrated on the dried peas trade. Production was soon expanded to include canned soups, vegetables and fruits, although peas remained the principal product. Ella Gasking became one of the most prominent businesswomen in Britain, and one of Sheffield’s best-known industrialists. She was noted for her charm and vitality; her humility and accessibility. By 1939 the company had 1,000 employees, with a further 1,000 indirectly employed. During the Second World War, Batchelor’s was one of the principal suppliers of canned goods to the British armed forces. Ella Gasking was awarded an OBE in recognition of her contribution to the war effort and the grocery industry in 1943. Batchelor’s was acquired by Unilever for £750,000 in 1943. Unilever would provide Batchelor’s with commercial and technical support. Poulton & Noel, a large canning company with a factory in Southall, London, was acquired in 1945. Production was rapidly increased. 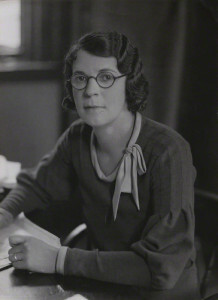 Ella Gasking retired as chairwoman in 1948. She was replaced by her brother, Maurice W Batchelor. Unilever introduced Bird’s Eye frozen pea production at the Wadsley Bridge site. Batchelor’s employed 3,500 full-time workers by 1950. Hundreds more were employed during the fresh fruit season. In 1951 the firm launched its first packet soup (chicken noodle). In 1958 a factory was opened in Ashford, Kent. In 1960 a factory in Portadown, Northern Ireland was acquired. In 1961 a former Chivers factory in Huntingdon was leased. In 1967 the Sheffield cannery was modernised. In 1969, £750,000 was spent on extending the factory in Worksop. By 1971-2 Batchelor’s held around a third of the canned pea market in Britain. In 1972 Cup-A-Soup was launched. In other countries it is branded under other brands from the Unilever stable, such as Lipton. In 1972 the Farrows tinned peas company was acquired. In 1977 around 1,200 workers at the Batchelor’s factories in Sheffield and Worksop went on strike for nine weeks regarding pay. As a result, Batchelor’s lost over £5 million to wasted food. In 1980 a steel strike saw Batchelor’s production reduced to one third of capacity due to a lack of supply of cans. In 1982 Batchelor’s closed its factory in Sheffield with the loss of 650 jobs. Production was concentrated at Worksop. A condition of Unilever acquiring Best Foods (Hellmann’s, Knorr) in 2001 was that it sell some brands. In 2001 Batchelor’s and Oxo were sold to Campbell’s Soup for £633 million. At this time the Batchelor’s site in Worksop employed 515 people. In 2006 the UK and Ireland business of Campbell’s was acquired by Premier Foods for £460 million. The Worksop factory employed around 410 people as of 2007. Heinz is best known in Britain for tinned soup, baked beans and condiments. The company succeeded with a dedication to quality, a concentration on relatively few product lines, and a strong commitment to marketing. Henry John Heinz (1844 – 1919) began to sell bottled horseradish sauce in Pittsburgh from 1869. He aimed to emulate the high standard of the greatest producer of packaged foods in the world: Crosse & Blackwell. To demonstrate that he had nothing to hide, he packaged his product in clear glass bottles. Fortnum & Mason of London was the food retailer with the best reputation in the world. Heinz cold-called on the head of its grocery department in 1886, and managed to persuade him to stock all of the seven product lines he brought with him. H J Heinz used the “57 varieties” slogan from 1892. He actually had more product lines than this, but decided that the tagline had a pleasing resonance. A British subsidiary was established to manage Heinz imports from America in 1886. H J Heinz appointed Charles Hellen (1866 – 1944), a perfectionist and “the best man I’ve got” as general manager for Britain from 1905. Hellen spearheaded the acquisition of Batty & Co, makers of the popular Nabob Pickle, in order to quickly gain a manufacturing site for Heinz products. The Batty brand was phased out in 1910. Salad Cream was the first product that Heinz created specifically for the UK market. Introduced in 1914, it was supposedly formulated by Charles Hellen himself. The recipe likely owed a debt to Batty’s own “Dr Kitchener’s Salad Cream” product. Heinz UK was established as a private company in 1917. H J Heinz died in 1919, leaving £1.1 million in his will (about £115 million in 2015). Heinz UK sales quadrupled between 1919 and 1927. A 22 acre factory site was opened in Harlesden, London in 1925. It doubled the number of employees at Heinz UK from 500 to 1,000. The larger factory allowed Heinz to mass produce, and pass on the economies of scale to the consumer. The site covered 40 acres and was one of the largest and up-to-date factories in England by 1935. Baked beans were manufactured in the UK from 1928. Soups and spaghetti production began in 1930. Previously these items had been imported from America and Canada. The Harlesden site was producing 100 million cans a year by 1936. Howard Heinz, the company president, donated £20,000 (£1.2 million) to buy aircraft for the British war effort in 1939. He also invited his staff to send their children to America for the duration of the war at the company’s expense. Heinz Ltd was valued at over £9 million when it was converted into a public company in 1948. The American parent company owned 91 percent of the shares. That year a former munitions factory in Standish, Lancashire was acquired to produce Heinz baby food. Heinz Ltd grew sixfold between 1945 and 1956. The company had a capital of £7.5 million by 1954. The Harlesden site covered 53 acres and the company employed around 5,100 people. It was claimed that Heinz was the best known brand name in Britain in 1957. By this time the British ate more baked beans per capita than the Americans. Heinz products in Britain were now formulated differently from the American versions, apart from Tomato Ketchup, which remained the same in every market. 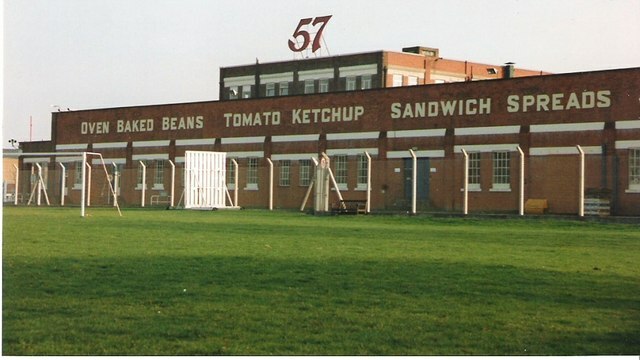 Demand remained high for Heinz products, and a new factory was established in Wigan in 1959. Situated on a 130 acre site, it was the largest food factory in the British Commonwealth. It cost £6.5 million (£135 million) to build and employed 2,500 people. Two thirds of production was dedicated to soup, and one third to baked beans. Meanwhile, the Standish site was closed and administrative offices were relocated to Hayes, London. Heinz was by far the largest producer of canned foods in Britain by 1960, and produced over one million cans of baked beans and over one million cans of soup every day. The company enjoyed far greater market share for its products (other than tomato ketchup) in Britain than it did in its home country. Tinned ravioli was launched in 1965, and spaghetti hoops were launched in 1969. Heinz dominated the baked bean market with an 80 percent share by 1967. That same year that the popular “Beanz Meanz Heinz” slogan was introduced. Heinz held 83 percent of the baby food market by volume in 1967. Heinz had 60 percent of the canned soup market (and 40 percent of the overall soup market) and 31 percent of the sauce market (behind HP) by 1968. The company had 80 percent of the tinned spaghetti market by 1969. Heinz acquired a 40 percent stake in Manor Vinegar Brewery of Burntwood, Staffordshire in 1969. A supplier to Heinz since 1917, it was the single largest vinegar producing facility in Britain, and produced about five million gallons a year. Vinegar bottling was transferred from Harlesden to Burntwood. Annual sales of Heinz Ltd surpassed £100 million (£1.2 billion in 2015) for the first time in 1972. Heinz of America acquired the eight percent of its British subsidiary that it did not already own for £7.7 million in 1977. Heinz sold its Manor Vinegar Brewery stake to Hazelwood Foods for £1 million in 1981. Heinz began to suffer from the late 1970s into the 1980s as supermarket own-label products began to take significant market share in traditional Heinz categories such as tinned soup. Own-label accounted for 37 percent of the baked bean market by 1982. Heinz reduced its workforce from 8,600 to 4,800 between 1975 and 1985. 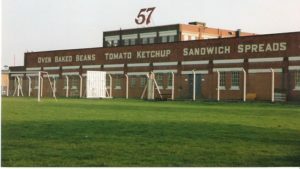 Heinz employed 2,750 people at Wigan in 1985 when it was announced that 1,220 jobs would be lost there over the course of five years due to a £60 million modernisation plan which would introduce high-speed automation to the two UK factories. Heinz marketing began to emphasise product quality in order to counteract the threat from own-label. The company began to manufacture own-label baked beans for supermarket chains such as Tesco from 1993. Heinz maintained that they only produced value beans for supermarkets, to a different recipe from their branded product, which enabled them to capture a greater share of the market without damaging their brand equity. Heinz acquired Farley of Plymouth, the largest manufacturer of infant formula in Britain, from Boots for £94 million in 1994. The Harlesden factory was closed with the loss of 450 jobs in 2000. Production was relocated to Wigan. Heinz acquired HP, with brands including Lea & Perrins and Daddies Sauce, for £470 million in 2005. As of 2019, Heinz employs around 2,100 people across the UK and Ireland. The Wigan site produces over one billion cans each year and is the largest food factory in Europe. In Britain, Heinz has the largest market share in tomato ketchup (80 percent), baked beans (70 percent), canned soup (70 percent), brown sauce (70 percent) and baby food.